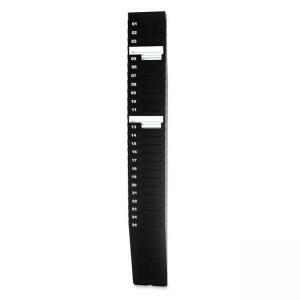 Time card rack offers 25 pockets and is expandable to accommodate more time cards. This rack easily mounts to a wall and can be combined with others. Excess pockets can be removed to fit your company size. The durable black plastic construction resists damage and maintains an attractive appearance in even the harshest environments. 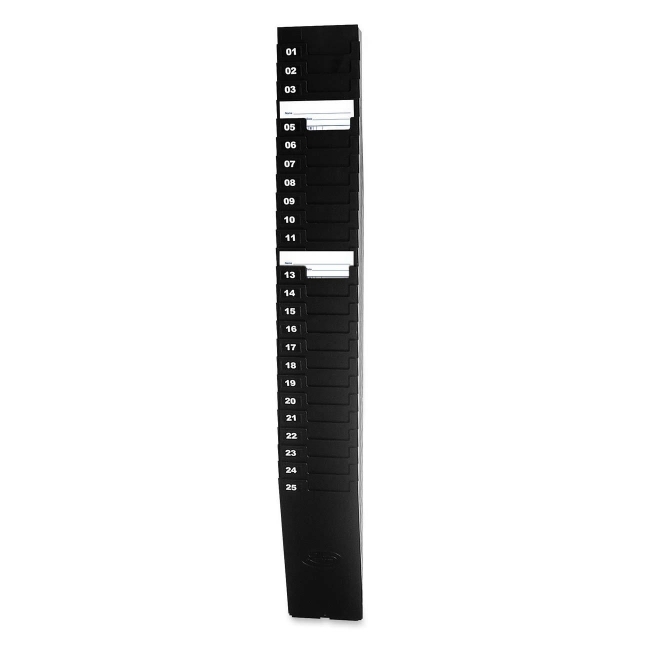 Time card rack includes pocket number labels and mounting hardware.